Kareon Bleu is a name of boat First 47.7 ,which has been built in 2007. 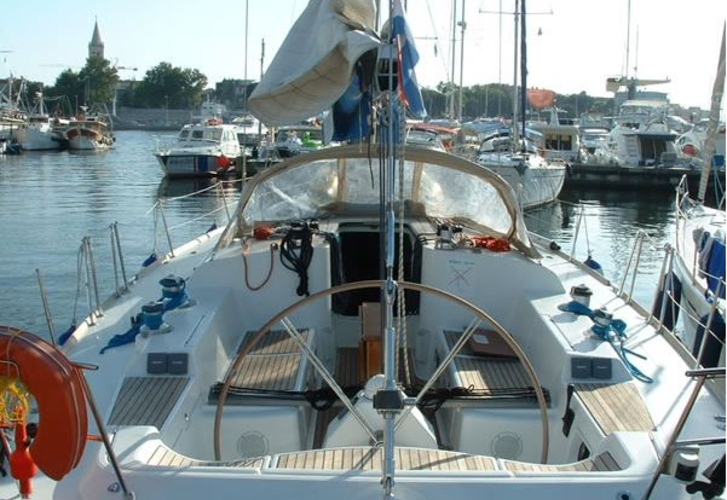 You can rent this vessel from marina Palermo in the region close to Sicily. 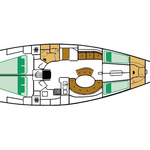 Kareon Bleu is equipped with 10 berths. Berths on the vessel are configured in 10 (8+2) layout. 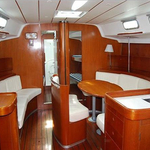 4 cabins are located inside the sailboat Kareon Bleu. Get more our offer under this link: Yacht charter Sicily. Guests can feel comfortable on this sailing boat , because there are 2 bathrooms for their disposal. With 240.00 l liters in tank for fuel you can sail really far and still be independent because of 620.00 l l. in water container. Kareon Bleu is supplied with motor 75 hp Yanmar-4JH3. 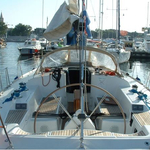 Sailboat's dimensions are: lenght overall - 14.80 m , beam - 4.49 m and 2.30 meters of draft. On the sailing boat you can make use of following equipment: Teak cockpit, Bimini top, Dinghy, Anchor electric windlass, Teak deck, Gps plotter, Autopilot, Icemaker, TV, DVD player, Mainsail with lazy jack, Bow thruster, generator. . Nonrefundable caution accounts for 3000.00 EUR. In our search engine you can quickly check avalailability of boat Kareon Bleu from Palermo by going to the section Yacht charter Italy.